The Wyoming County Environmental Health Department addresses the environmental issues and needs within the county, such as public and private water supplies, food service, public health nuisances, and much more. As a brand-new client, Wyoming County approached GISinc to discover an optimal GIS strategy for their existing data. They were in need of something more standardized in order for the data to be viewed and accessed through the web. At the time, they had minimal GIS or experience with GIS on a departmental level. Their well data was all in an access database that required forms to interface with it. The client knew there was a better, more efficient, way to visualize and manipulate the data - especially out in the field. GISinc provided Wyoming County with an ArcGIS Online Jumpstart, which kicked-off with a meeting walking through requirements and discovering what success might look like. From the kick-off meeting, both the client and GISinc team began working through action items in order to prepare for an on-site visit. Once on-site, a GISinc team member met with county stakeholders for a discovery session to get an idea of the data they had and how things were set up. Afterwards, the team member began work on the data organization and workflows for ArcGIS Online. They took the access data and reorganized it into a geodatabase, which made it possible to enter in information through a GIS layer. 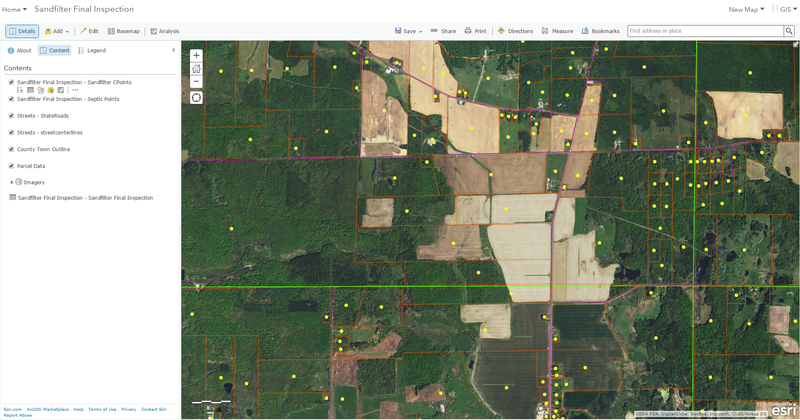 Once the team completed ArcGIS Online setup, it was time to begin creating web maps for the client in ArcGIS Online. The GISinc team set up web maps displaying their well data so the client would be able to use Collector for ArcGIS and visualize the data in web map. With all of it in place, field crews would soon be able to visualize well data on their various devices - anytime and anywhere. Throughout the entire ArcGIS Online Jumpstart, the team at GISinc provided in-person knowledge transfer. This meant that all key stakeholders would know how to work with everything that was set up. 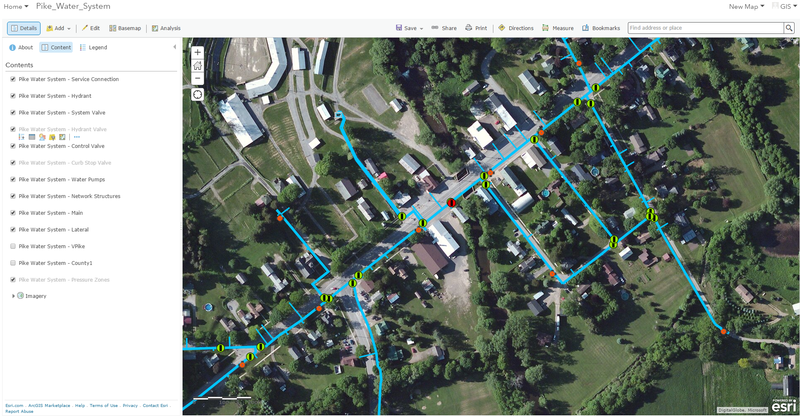 With their ArcGIS Online Jumpstart, Wyoming County went from minimal GIS to a fully functioning GIS application in only one week.